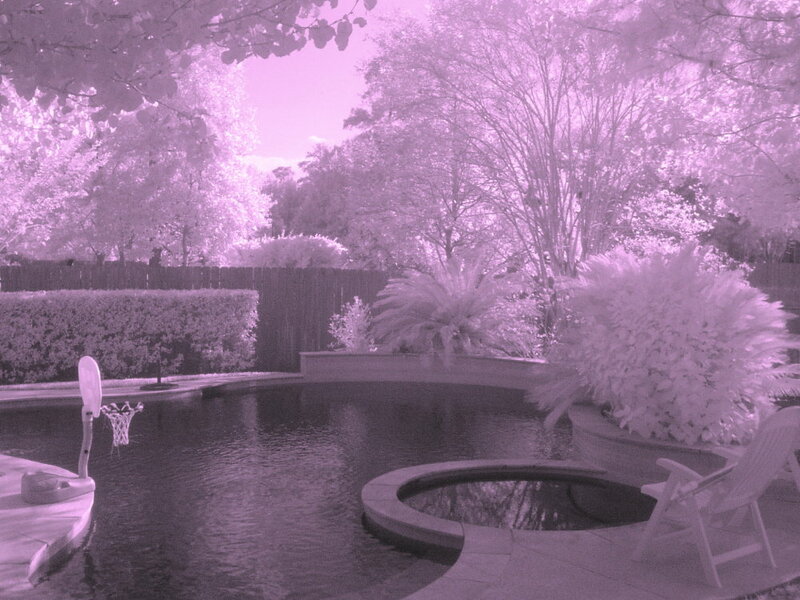 A very cheap conversion of a sony DSC-P8 to see near infrared radiation. Don't try this unless you want to ruin your camera and or perspective on colors. 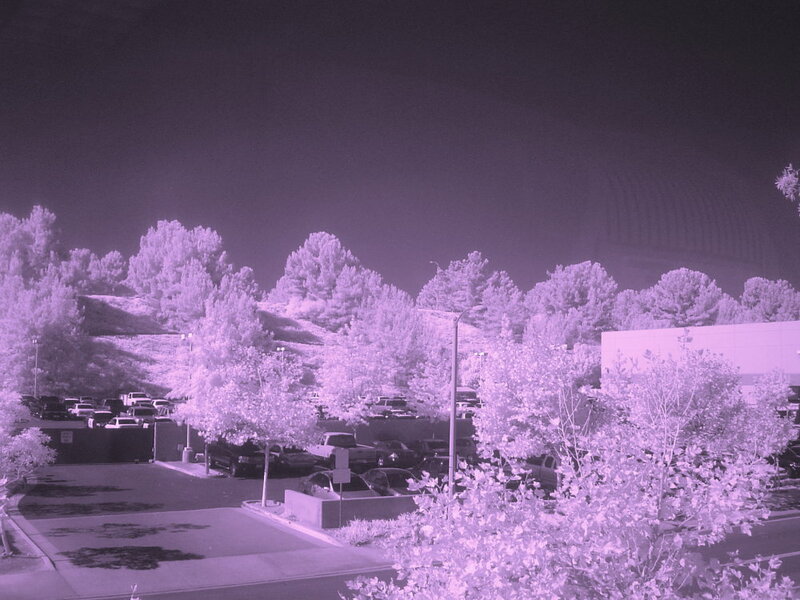 Having been impressed with the cheap webcam IR hack, I decided to try it out with a much better Digital camera, with a similar cheap perspective. 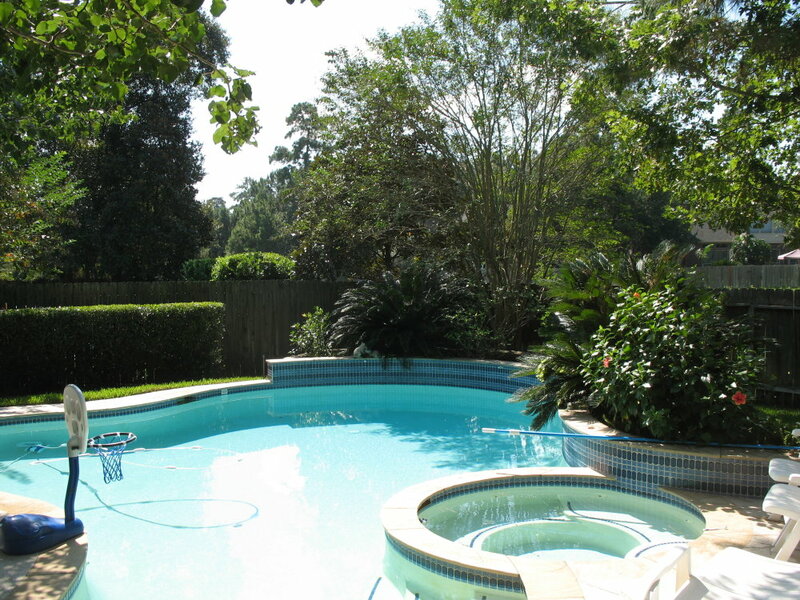 The procedure is the same, but since the camera can actually acquire a decent focus, you will want to replace the hot mirror with something instead of just removing it. 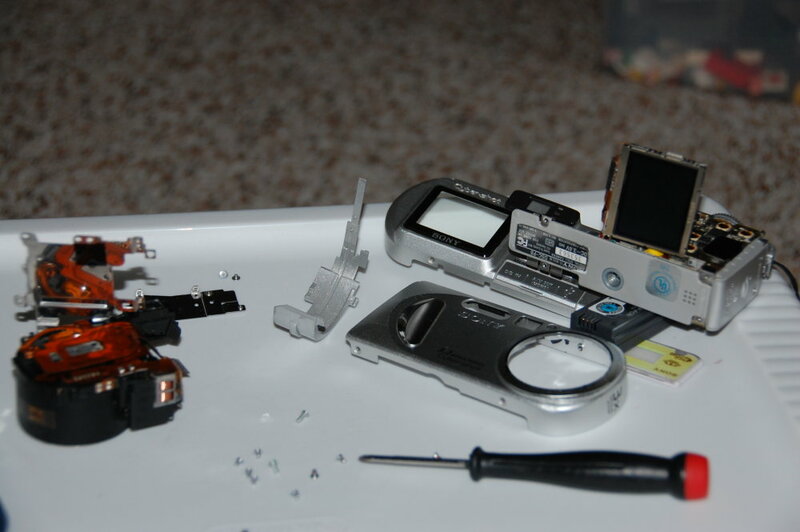 If you leave it out, you will have an excellent macro focusing camera, but not much else. 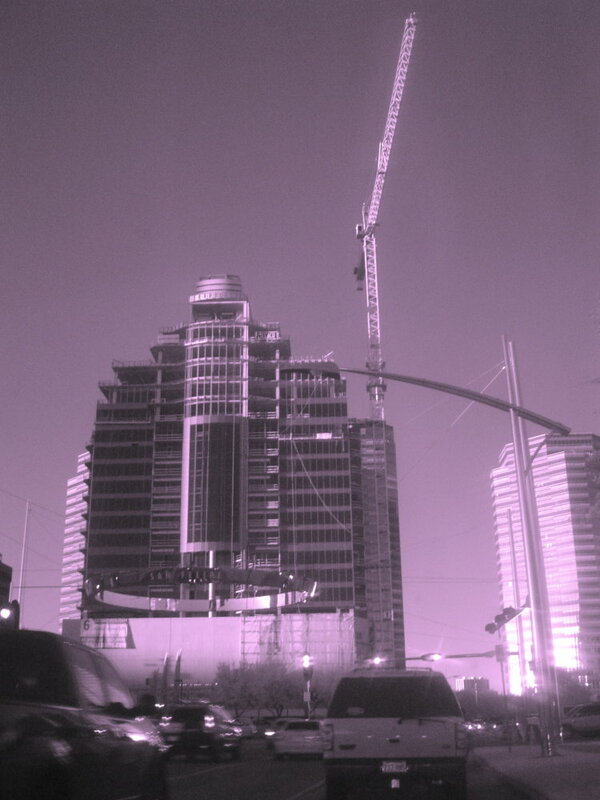 With the cheap nature of the project, I initially used 2 cut pieces of blackened developed color film. Not quite satisfied with the results, I replaced the double stacked film with a single piece of developed blackened slide film. 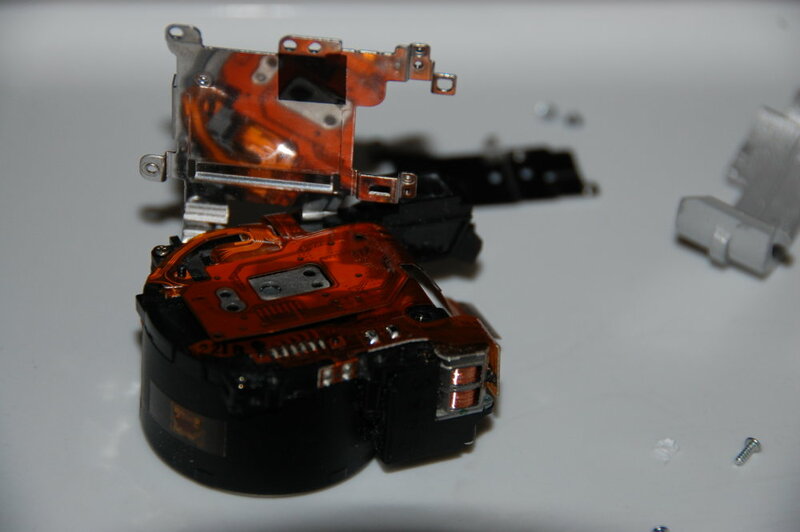 Disassemble the camera to where you can get to the CCD and remove the hot mirror. 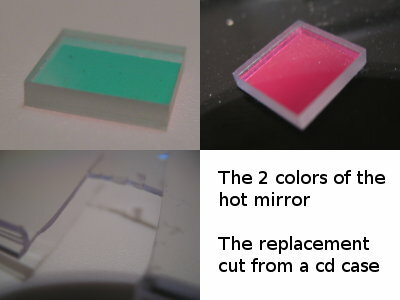 Cut the blackened film and the cd plastic to the size of the hot mirror, and stack them in the camera. Put everything back together, and head out into the world. 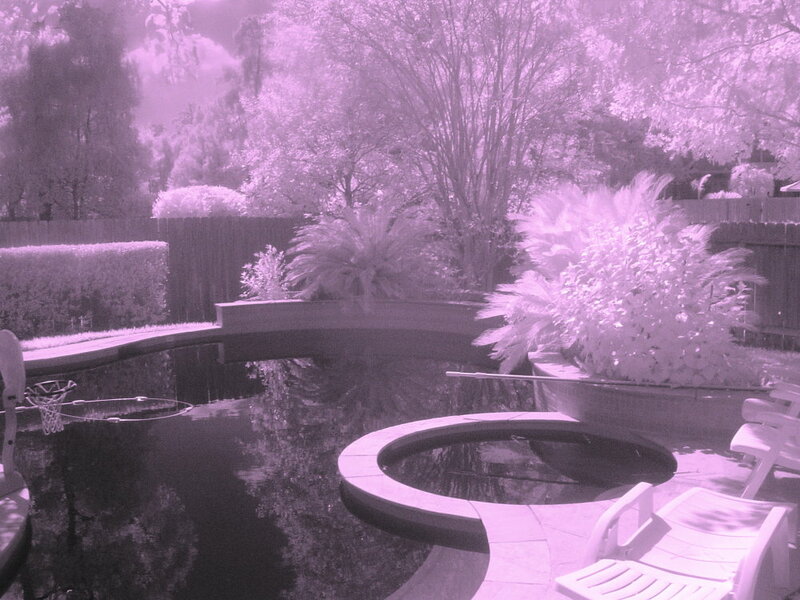 The camera leaves the colors at a more purple hue, to which I duplicate the layer in the gimp, apply a gray scale mask. 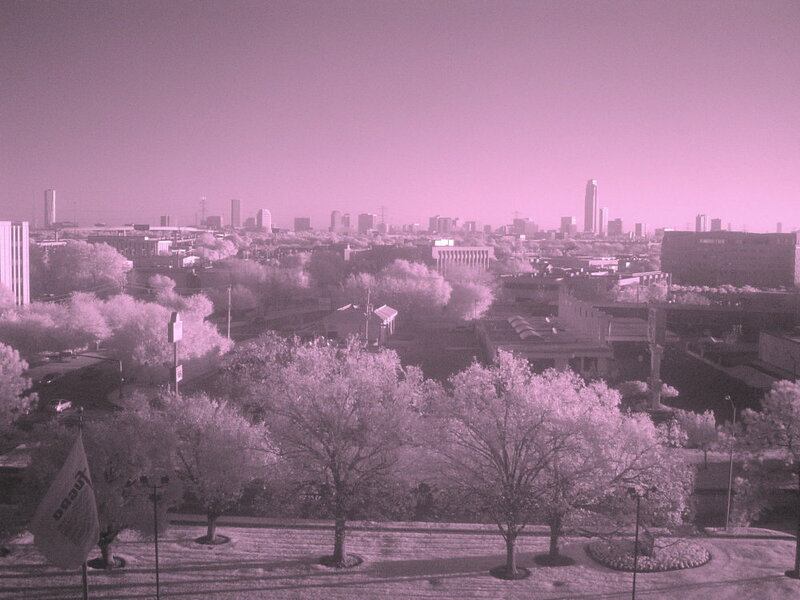 Then I desaturate the bottom layer with the lightness setting. This mutes the purple considerably giving a more pleasing grays caleish look. Colors vary quite a bit depending on your choice of white balance. I tend to prefer the flash white balance for the maroon look, but you can pick several levels between the incandescent blue and the maroon, which look like varying levels of purple to me. 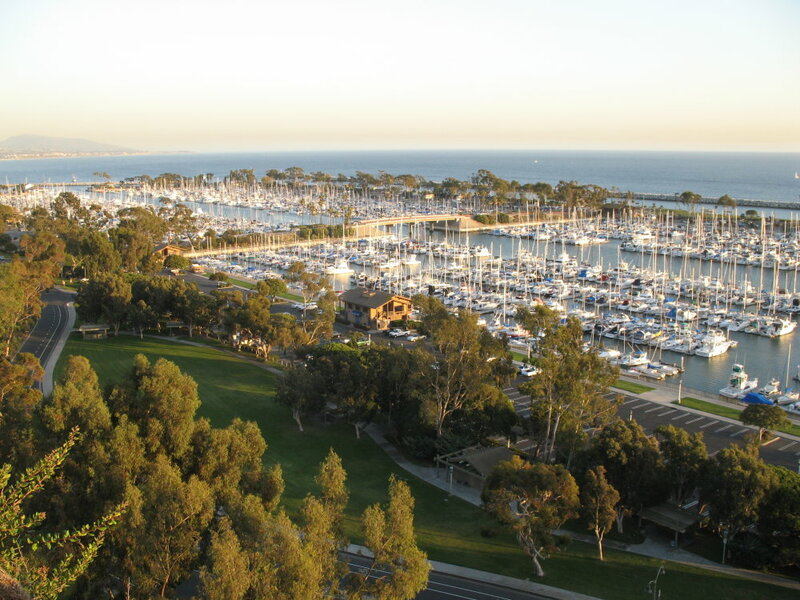 Autumn foliage is indeterminable outside the Aliso Viejo Sheriff's department. 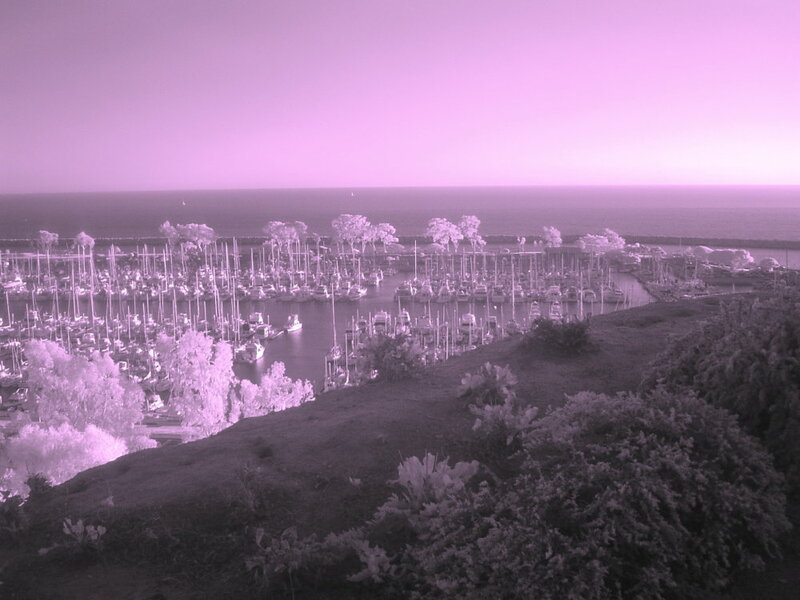 A view of the harbor at Dana Point. 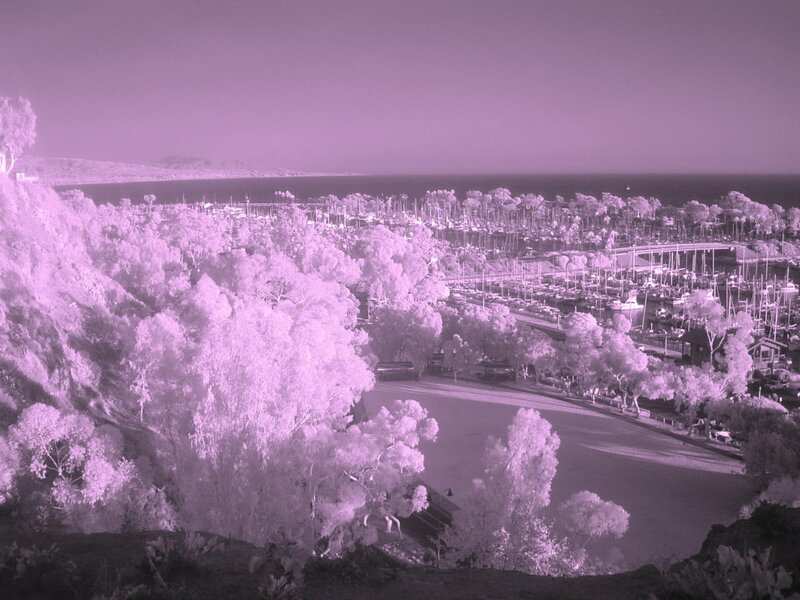 Almost the same view of Dana Point in visible wavelengths. 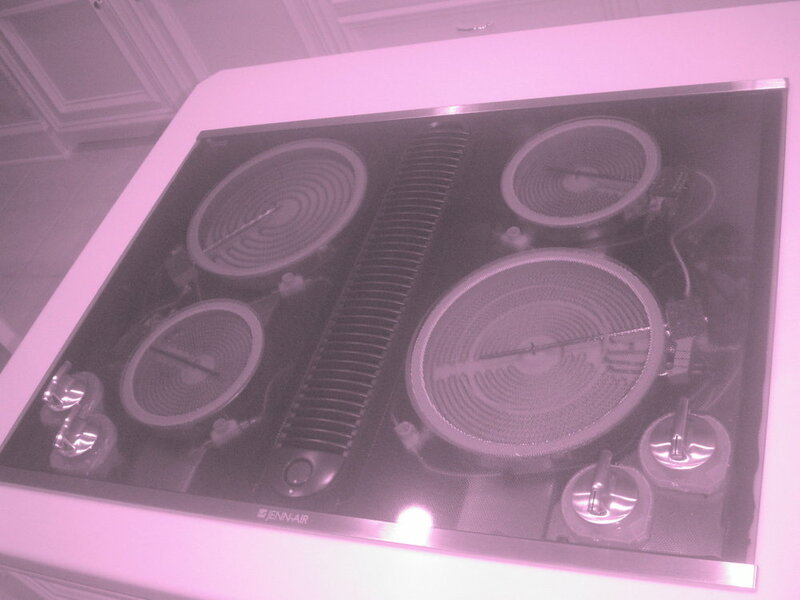 The black glass stovetop is not so black to the Near IR wavelengths.